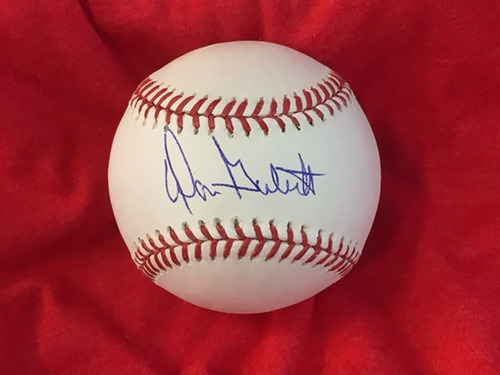 An Official Major League Baseball signed by Don Gullett. One of the Reds' top starting pitchers from 1970-1976, Gullett was inducted into the Reds Hall of Fame in 2002. The baseball is housed in a protective cube and includes a Certificate of Authenticty from the Reds Hall of Fame.